We're building a new observatory! Click here for more info! 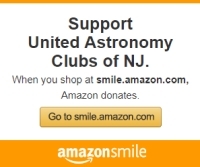 United Astronomy Clubs of New Jersey, Inc. (UACNJ) was formed in 1988 as a networking group for New Jersey area amateur astronomy clubs. UACNJ itself is not a club, but a consortium of about a dozen astronomy clubs united to support, coordinate, and communicate ideas among the many individuals who make astronomy their hobby in and around the state. 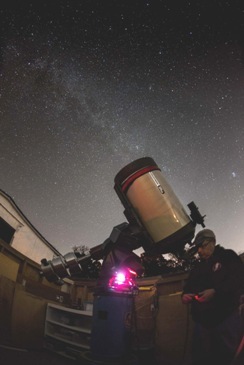 UACNJ helps promote and support amateur astronomy in the New Jersey area by representing its Member Clubs with astronomical displays at major area events. UACNJ's presence has been seen at Rockland Astronomy Club's North East Astronomy Forum (NEAF) each spring and we host our own Astronomy Day and Family Astronomy Field Day each year. UACNJ has been providing free public programs every Saturday from April through October since 1994 at our facility in Jenny Jump State Forest. UACNJ also maintains this web site which provides information on Member Clubs and links directly to all their websites. We hope that you will consider making a donation to help maintain UACNJ facilities and provide programs for the public. UACNJ is an all-volunteer nonprofit 501(C)(3) organization. Donations of any amount are greatly appreciated. You may send your donation to UACNJ at P.O. Box 150, Hope, NJ 07844 (make checks payable to UACNJ please) or donate online using PayPal or a credit card. You can also support UACNJ by donating your car, boat, RV, trailer, etc. via DonationLine, by using AmazonSmile when you shop online, and with matching funds if they are offered by your employer. A receipt for income tax purposes is available upon request. The UACNJ Observatory is located at Latitude 40 54' 26.8" North, Longitude 74 55' 31.8" West, and 1,100 feet above sea level in Jenny Jump State Forest, near Hope, New Jersey, in Warren County. The site is one of the few dark sky locations left in the state and features several permanently mounted telescopes from a 7-inch APO refractor to a 16-inch Schmidt-Cassegrain. Other activities available in Jenny Jump State Forest include camping and hiking. Skylands Visitor has information about nearby attractions.